"A Place Where FACT is FICTION and FICTION is REALITY"
Whether you're a skeptic or a believer, join Rob McConnell in The 'X' Zone as he investigates the world of the paranormal and the science of parapsychology with special guests from around the world. 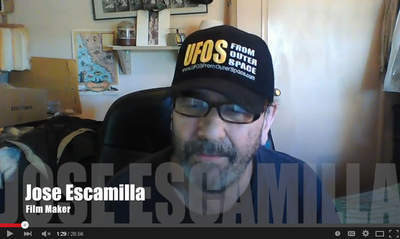 UFOs, Ghosts, Hauntings, Demonic Possessions and much more. What was it in the sky over Chomedey, Laval that a very young Rob McConnell witnessed from his bedroom window that summer evening that set him on his quest investigating the world of the paranormal and the science of parapsychology? In 1991, Rob started his now internationally syndicated talk radio show, The 'X' Zone Radio Show. Since starting his radio show, Rob has interviewed more than 4,200 guests in his continuing quest searching for the truth...seeking answers...asking the questions that few dare to ask. Now in 2017, as the President and CEO of REL-MAR McConnell Media Company, Rob McConnell, a Canadian veteran broadcaster, media personality, journalist, publisher, and creator of The 'X' Game has brought The 'X' Zone to TV screens of all sizes around the world with The 'X' Zone TV Show. Episode 4 - DON K PRESTON - Bible Prophecies: Don was a 1975 graduate of the Northside School of Preaching, (seminary) Harrison, Arkansas. Don has been in public speaking since the age of 13 and was voted among the Jaycees’ “Outstanding Young Men of America,” 1980. Don’s preaching ministry spanned nearly four decades in two different cities; Shawnee and Ardmore, Oklahoma. Don worked for seven years helping to produce a television program for a Christian magazine which received national recognition in the magazine, “Christianity Today.” In June 2010, Don received an honorary Doctorate degree from Vision International University of Romona, California, in recognition of his “outstanding accomplishments in ministry and publishing.” Vision International has 140,000 students worldwide. Dr. Stan DeKoven stated at the graduation ceremony, attended by an estimated 1,000 people, that Vision seldom awards honorary Doctorate degrees, and never more than one per year. Don is a prolific author, having written multiple book titles which can be found on Amazon.com and at the BP Store. Some of Preston’s works have been translated into six different languages, and reprinted several times. Don’s most popular book, Who is this Babylon?, a study of Revelation, has received international critical acclaim. Don’s largest book to date, “We Shall Meet Him In The Air: The Wedding of the King of kings” (2010 ed. ), is the very first, and only, full length (450+ pages) commentary on 1 Thessalonians 4 from the preterist (fulfilled) perspective. Dr. Preston’s writings have appeared in almost every major religious periodical of the Churches of Christ. 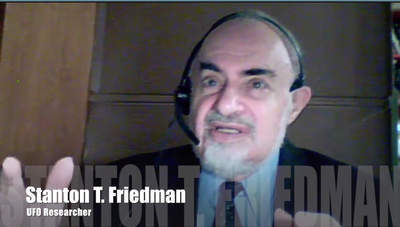 Dr. Preston has participated in several formal public debates as well as radio debates. 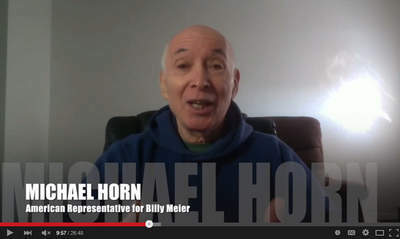 His opponents include some of the leading evangelical leaders of the day, including: Joel McDurmon, of American Vision; Harold Eberle, of Worldcast Ministries; Thomas Ice, co-founder with Tim Lahaye, of the Pre-Trib Research Center; Dr. George Westlake Jr., radio host and Bible expert for “Living Answers for Today,” Harold Hoehner of Dallas Theological Seminary; Dr. David Engelsma of Reformed Theological Seminary; C. Marvin Pate of Moody College; Dr. F. Lagard Smith; and other notable theologians. In 2012, Dr. Preston participated in the 2012 Criswell College Theological Lectures on the topic, “Future Kingdom: Perspectives on the Millennial Reign of Christ.” The forum contained renowned speakers Craig Blaising, Craig L. Blomberg, G. K. Beale, Kenneth H. Gentry, and H. Wayne House, who each presented the various views on the millennium. Dr. Preston has participated in live interviews on Christian talk shows such as “Salt and Light” in St. Louis, Missouri, the Gianni Hayes syndicated program, and numerous others. 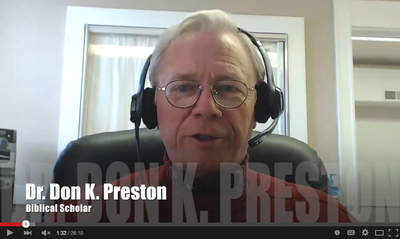 Preston is also co-host with William Bell, on a radio program called “Two Guys and A Bible” heard live every Tuesday evening on “Fulfilled Radio.” The ministry website for the Preterist Research Institute (PRI) is www.eschatology.org. 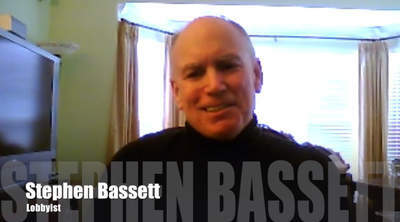 In addition to that website, Dr. Preston is also the personal owner of www.bibleprophecy.com, one of the top rated sites for the study of prophecy on the web. The websites contain many articles written by Don and other highly esteemed writers from around the country, in addition to other resources that aim to advance the fulfilled Gospel message. Dr. Preston served as minister for the Ardmore Church of Christ, (now The Family of God church) for 16 years from 1992 to 2008. He resigned to devote himself full time to research, writing, seminars and debates through the organization he founded, PRI. PRI also sponsors an annual conference (Preterist Pilgrim Weekend – PPW) at the Ardmore Convention Center with attendees who have come from all 50 states, and numerous international locations over the past several years, which has grown in attendance nearly every year. What began as a simple seminar with only a few people, has now grown into a staple “must come” event for many since the inception of the PPW. Don’s hobbies include collecting and restoring classic cars (especially early mustangs), and old pickups; fishing, hunting, internet research, reading, and many others. 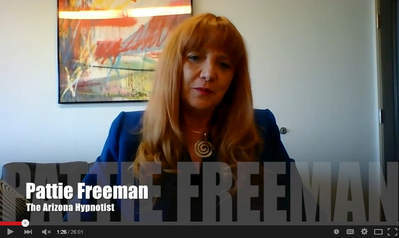 Episode 6 - PATTIE FREEMAN - Hypnosis, the CIA and Alien Abductions: Pattie Freeman is a Certified Hypnotherapist and is a member/Instructor of the (NGH) National Guild Of Hypnotist, Arizona Professional Hypnotist Association, NESTA. 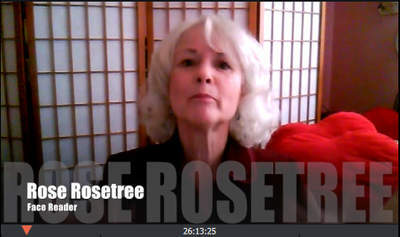 Her clients request her help in various topics including UFO sightings. Pattie has been asked by MUFON representatives to help with regression techniques. 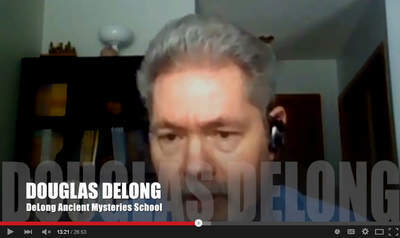 Now, regression is used for those wanting to find answers and about UFO Abduction- contact and even sightings. The success results of knowing what they saw or experience gives them closure and also gives them their answers and satisfying results. 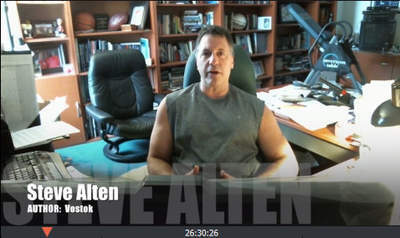 Many clients are skeptic about the UFO's but they become believers once they recall details and regress to the moment and it becomes more vivid. Pattie Freeman has studied as a student of psychology Her therapeutic approach, compelling communication style, and by her successful Clients. Combining modalities of hypnotherapy, Parts therapy, neuro-linguistics programming (NLP), whole brain learning, and success Enhancement in Performance and Injury conditioning and Personal Achievement. Pattie has been seen on ABC- The List/ NBC 10/ FOX Sports. She has been on WE-TV and various TV and Radio talk shows. Pattie has help thousands of clients enhance their sports career with her visualization techniques. Pattie is the author of the Book "The Edge". She has been the Hypnotherapist to the stars with offices based in Beverly Hills, CA. and Scottsdale, AZ. She has worked film writers, and producers and directors of major TV shows. She has frequently been a consult for various directors and actors for movies and television programs. 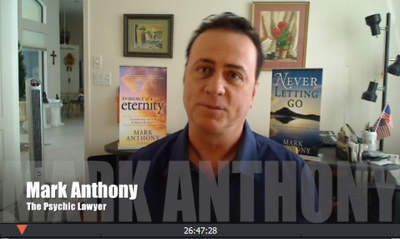 Episode 7 - MARK ANTHONY - The Psychic Lawyer: Mark Anthony the “Psychic Lawyer ® (also known as the Psychic Attorney®),” is a world renowned fourth generation psychic medium who specializes in communication with spirits. He is an Oxford educated attorney and certified mediator licensed to practice law in Florida, Washington D.C. and before the United States Supreme Court. 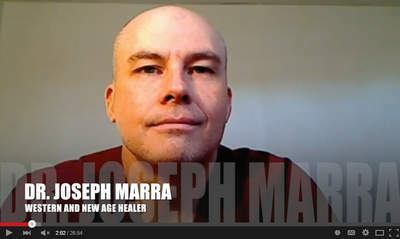 A charismatic, intelligent and humorous accomplished public speaker, Mark appears worldwide on radio and TV as a psychic medium, legal analyst in high profile murder cases and paranormal expert. He regularly appears on ABC, CBS, NBC, FOX Television, Coast to Coast AM, Darkness Radio, Fox News Talk, CBS Radio, ABC Radio and Sirius XM Radio. Mark Anthony is a featured speaker at conventions, grief support groups, hospice organizations, conferences, expos, religious and spiritual organizations such as the Edgar Cayce Association for Research and Enlightenment and universities including Harvard, Brown and Yale. Mark’s best selling, award winning and critically acclaimed book Never Letting Go, is the definitive guide to healing grief with help from the Other Side. This compelling page turner is for anyone coping with the loss of a loved one. His next book Evidence of Eternity is due to be released in early 2015. Combining his gifts as a psychic medium with his experience as an attorney, Mark Anthony relates to each client on a personal level, and his positive, personable demeanor is an uplifting influence for people coping with the aftermath of a life-threatening, life-changing, or life-ending trauma. Many of his clients have benefited from his insights, and with his guidance, have found the inner strength to turn away from drugs, alcohol, and other self-destructive behaviors. 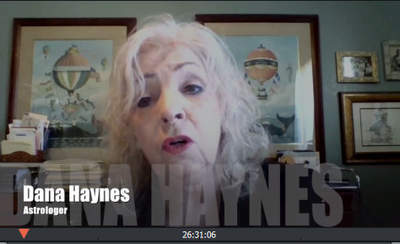 Episode 09 – DANA HAYNES - Astrology & UFOs: Dana Haynes' passion for the ancient science of astrology has lead to work with quantum scientists, geneicists, doctors, politicians, lawyers along with Dr Allen Hynek who got her involved in UFO Investigations. Haynes' interest in Planet Earth, the Cosmos and how an eclipse or comet affects earth changes lead to forecasting earthquakes and volcanic activity along with storms, floods and drought. Haynes' interprets planetary cycles, eclipses and solar storms to inform the online audience at www.earthquakeepi-center.com. As the "Astrologer to the Stars", "Gaming Astrologer" and "Political Forecaster" Dana Haynes entertained at Merv Griffin's Resort Hotel in Palm Springs, California every Tuesday Night for three years delighting dinner guests with astrological anecdotes involving personalities in the news. The Palm Springs show was so successful Dana began entertaining at Merv Griffin's Scottsdale Hilton Hotel every second Thursday night in Scottsdale, Arizona.